Wakoto Peninsula is a peninsula that is about 3km around, jutting into a lake with a circumference of 57km. Its name comes from the Ainu phrase "wakkochi", which means "the narrow part of a fish's tail". 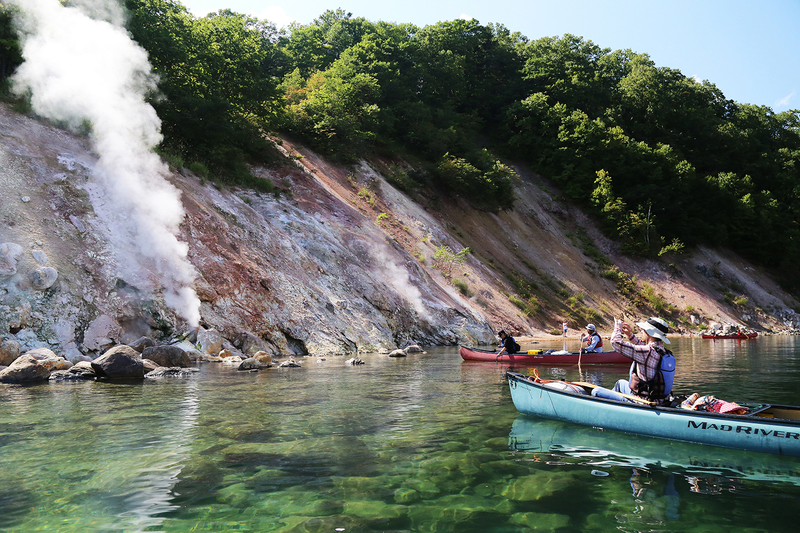 The peninsula is a fascinating volcanic area, with hot springs everywhere and an area called Oyakotsu Jigoku (Oyakotsu Hell) at the tip of the peninsula, where plumes of smoke rise from the ground. Covered with deep forest, Wakoto Peninsula offers new natural splendor with each season: North Japanese hill cherry blossoms in spring, new greenery in early summer, colorful foliage in autumn. 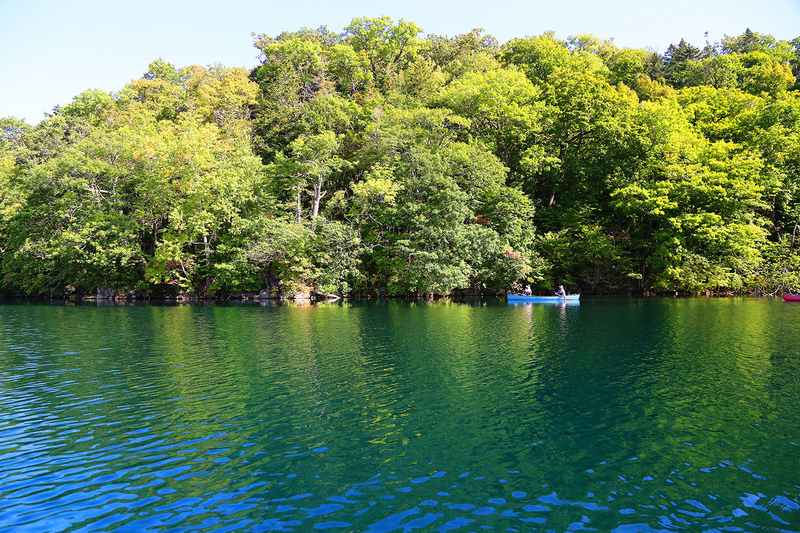 On a sunny day, Lake Kussharo is at its clearest, offering a view that will take your breath away. After you paddle around the peninsula, Mrs. Hiratsuka will serve you a hearty homemade lunch near the stunning Oyakotsu Jigoku. Made with local ingredients from Teshikaga and the surrounding area, every option will have you smacking your lips in satisfaction. The heartfelt hospitality you'll receive will make this the best canoe cruise you've ever been on. 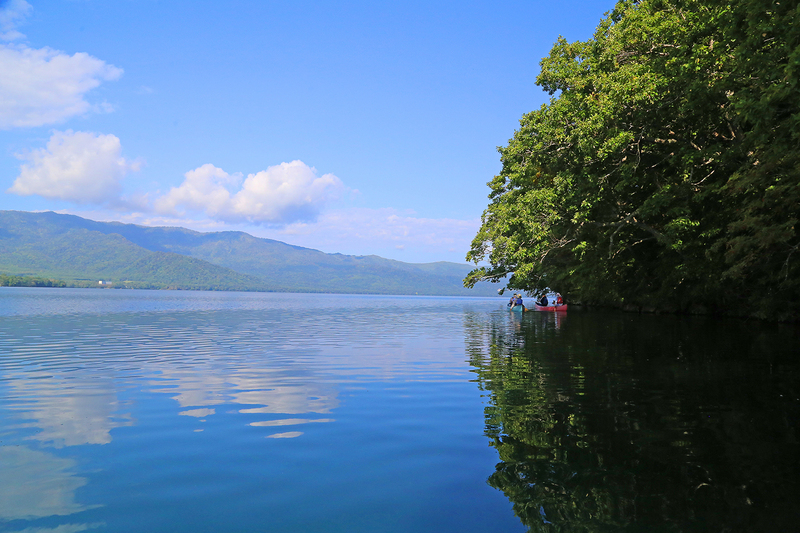 This canoe cruise starts at the base of Wakoto Peninsula in Lake Kussharo and takes you for a leisurely paddle around the peninsula. Admire the breathtaking seasonal scenery on the peninsula and take in the exquisitely clear cobalt blue lake with hot springs bubbling up from the bottom. This peninsula was formed from lava and still pulses with volcanic activity today. Few other tours will give you such a close-up view of a beautiful lake, deep forest and enthralling volcanic activity all at once. 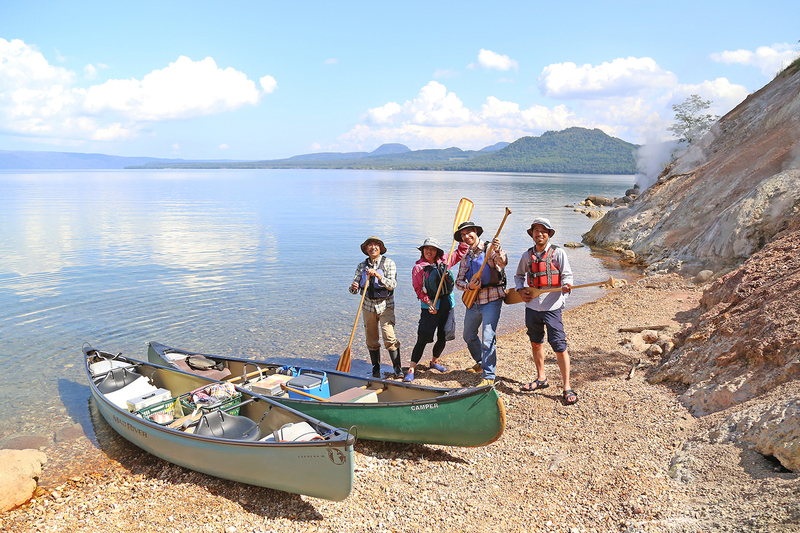 This husband and wife duo are guides at Northeast Canoe Center, Ltd.
After encountering Canadian canoeing in 1986, they decided to recreate the experience on the beautiful Lake Kussharo and Kushiro River, and began working as tour guides to share the spectacular nature of their hometown through exciting canoe tours. 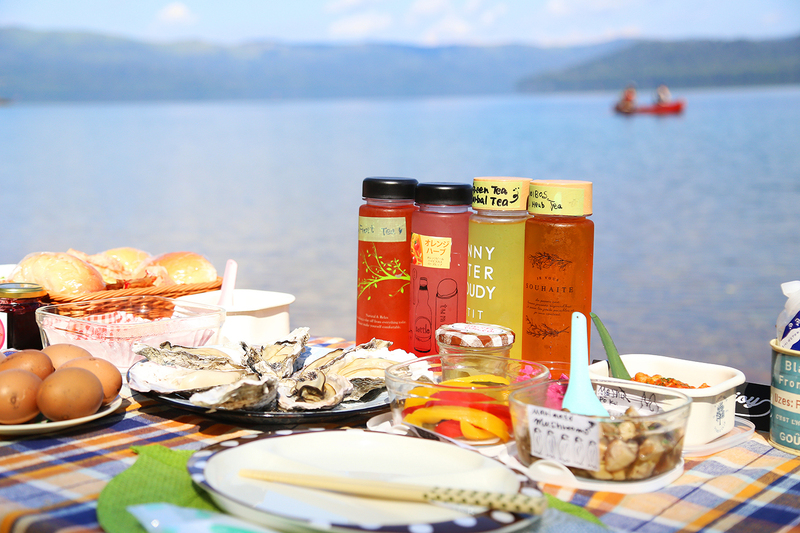 After a leisurely canoe trip with the Hiratsukas where you’re surrounded by the natural marvels of Lake Kussharo and the Kushiro River, you’ll be treated to a hearty homemade lunch made by Ai.